Yâ€™all know Iâ€™m always raving about my Aloha Protein, greens, and coconut water. (And not just because Iâ€™m an affiliate, because I actually use their products every day!) Organic, vegan, and it tastes great? Why wouldnâ€™t I rave about it?! 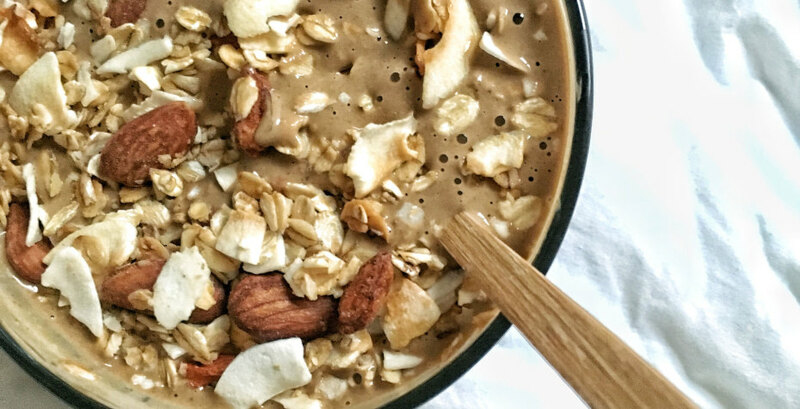 When it comes to protein powders, you arenâ€™t limited to smoothies. 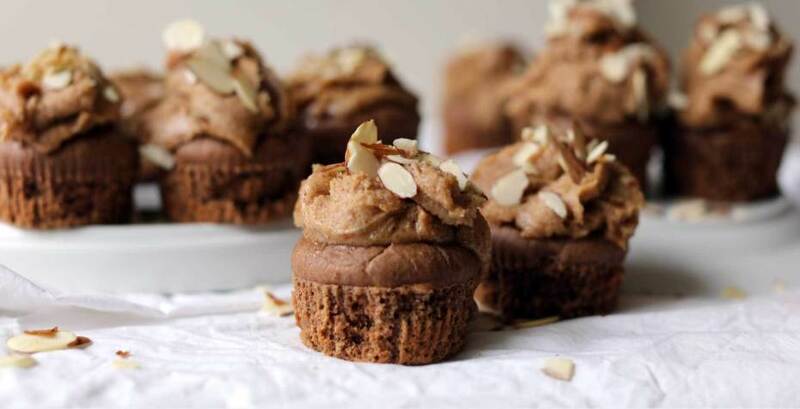 There are some amazingly decadent, protein packed desserts and treats that will make you second-guess just how healthy they are. But they are healthy, so here are some of Alohaâ€™s best recipes. Click highlighted text to purchase. Â Makes One Cup, split it with a friend! Adding the liquids first, combine all of your ingredients in a blender or food processor. Blend well and enjoy! Garnish as desired. Lightly heat the coconut butter, until it softensâ€”20 to 30 seconds in a microwave should do. Alternatively, you can also heat the coconut butter in a small saucepan over low to medium heat for about a minute. Once it has softened, transfer it to a medium bowl. Blend the ALOHA Protein, lemon, turmeric, honey, stevia, and salt into the softened coconut butter. Add the coconut yogurt and mix well. The batter should be firm enoughÂ to make balls. Measure the mixture out into tablespoon-sized portions, and roll them into balls. Pour the shredded coconut into a sandwich bag or in a small bowl. Drop the truffles into the coconut, one by one and lightly coat. These will last in your freezer for a couple weeks or in the refrigerator until the yogurtâ€™s expiration date. Pomegranate seeds,Â coconut flakes, fresh fruit of choice. Add all ingredients into a bowl. Combine together well, using a fork. Let it sit for ten minutes. 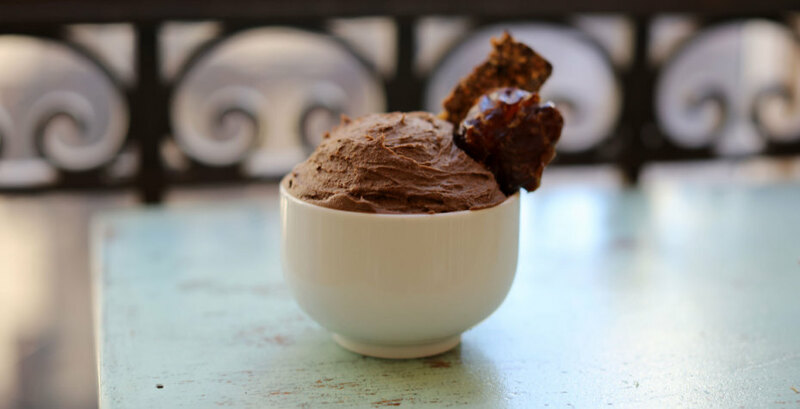 Sprinkle fresh fruit,Â Superfood Chocolate, or any of your favorite toppings into the bowl. Enjoy instantly. Stevia is not mandatoryâ€”feel free to use honey or the sweetener of your choice. Preheat your oven to 375Â°F.Â Line a muffin tin with muffin cups or grease with the oil of your choice. In a medium bowl, blend all of the dry ingredients. Then add in the milk, vanilla, nut butter, and honey. Mix well. Soften the coconut butter, if needed, by lightly heating it on your stove in a small saucepan, or in your microwave for 30 seconds. Mix the softened coconut butter, eggs, and whiskey into your batter. Blend until you have a smooth and seamless consistency. Fill your muffin cups or greased muffin tin with the batterâ€”about threeÂ tablespoons each. Bake for 15 minutes. For the frosting, mix all of the ingredients together in a medium bowl.Â Spread the frosting over theÂ cupcakesÂ once they have cooled (10 minutes after taking them out of the oven). Garnish with the chopped nuts, if you fancy. Enjoy immediately or store in an airtight container in your refrigerator for up to a week. Blend all of the ingredients together. 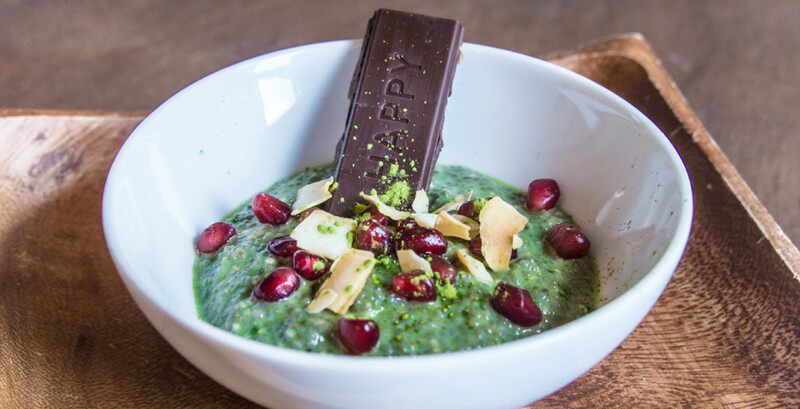 I recommend topping the smoothie bowl withÂ gluten-free granola and/or ALOHA Superfood Chocolate for additional nourishment andÂ crunch. Mix your dry ingredients in a medium bowl. If needed, heat the coconut butter slightlyâ€”enough so it mixes with the other ingredientsâ€”add it to the dry ingredients along with the other liquids. Combine all ingredients well. Place the mixture in a square or rectangle baking dish. Using a spoon, spatula, or your fingers, pat the mixture down until it has filled out the entire surface and the top is flat. The size of your dish will impact the depth of your bars, but given you are not baking these bars, the depth is only a matter of preference. Place the dish in your refrigerator for 20 minutes to an hour. Remove and slice the cold mixture into bars. Carefully remove them from your dish and serve! These are best stored in a refrigeratorâ€”they will keep for a couple weeks. 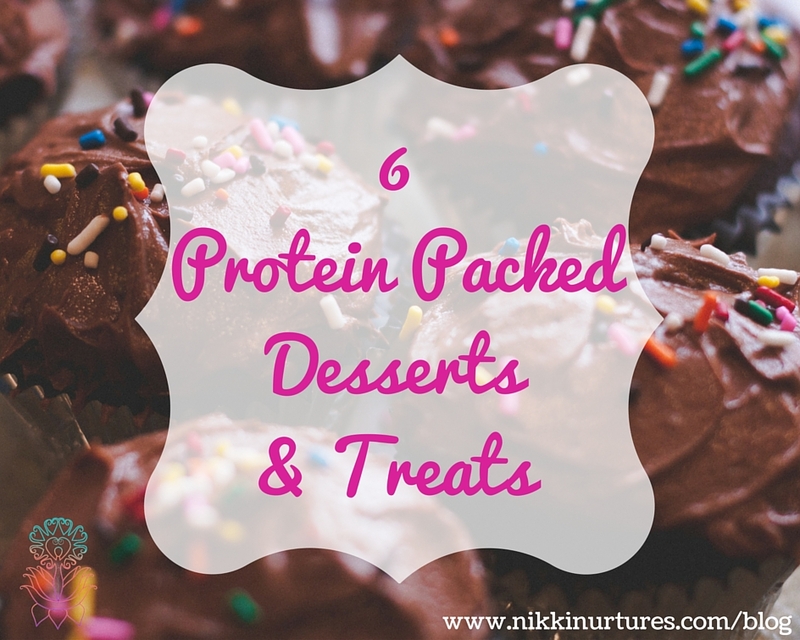 Hopefully this has sparked some creativity with not only our protein powder, but all the awesome desserts you can make and still keep a trim waistline! Remember, you can click the highlighted text to order Aloha Protein. (I may earn a small commission) If youâ€™re not into protein powders, they have teas, greens, vitamins, snacksâ€¦ all great quality and ethically sourced products. Click here for more recipe inspiration! Such delicious looking recipes full of very healthy ingredients.I so need to try some of these recipes. 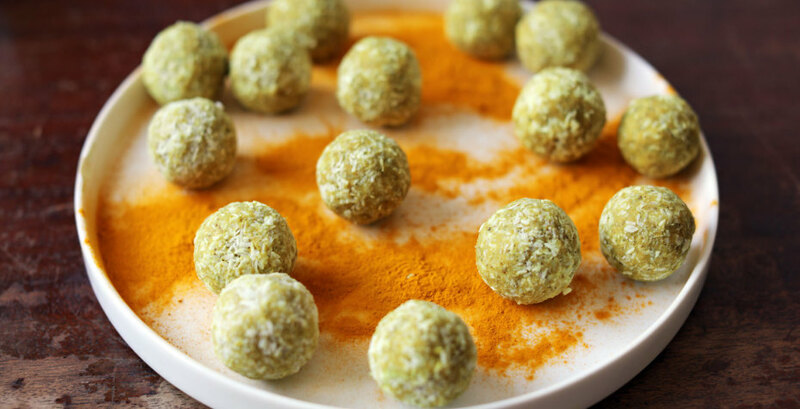 These treats are very healthy and delicious, going to try to make the Turmeric Protein Truffles and have bookmarked you site as I;ll be trying to make the other Protein packed deserts and treats!! I’m always looking for unique ways to get protein in my diet. I’ve never heard of the Aloha brand of protein products. I may have to check it out to try some of these desserts. I’m a huge fan. Organic, plant based and tasty. These look good. Great dessert options.